Take on some big sky in the Big Easy! 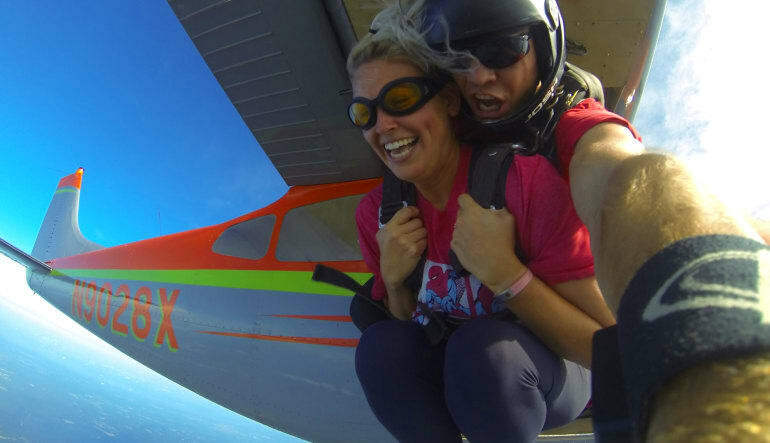 This New Orleans skydive is a cut above, sending you 10,500 feet heaven-bound. Take on some big sky in the Big Easy! 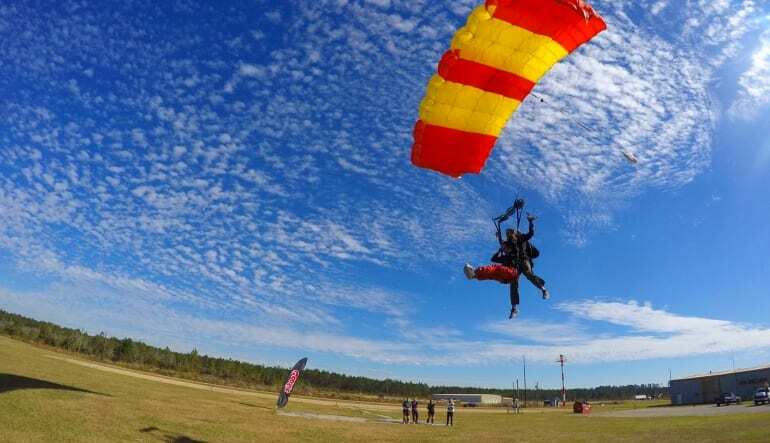 This New Orleans skydive is a cut above, sending you 10,500 feet heaven-bound. This long stretch gives you much added air time — the freefall itself lasts just about a minute! Meet your diving partner. The team’s composed of Army Parachute members and record holders! Learn all the ins and outs with a brief safety instruction. No turning back now—hold your breath, count to five, and feel the rush of a lifetime as you and your tandem jumper let gravity take over. Freefall for over a minute. Once the chute’s deployed, you’ll enjoy a five- to seven-minute drift to the ground below. 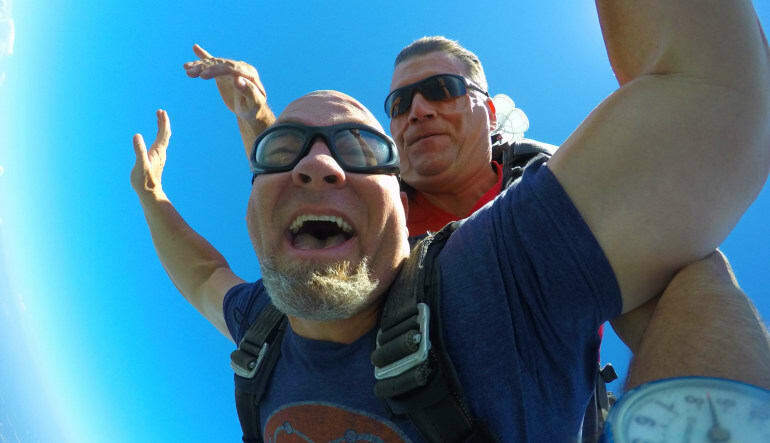 It really is one of the Nation’s most celebrated skydives and without a doubt, NOLA’s biggest thrill! Conveniently, it’s just a quick drive from anywhere on the Gulf Coast and recognized as a top Rated USPA Drop Zone. Get your jump on today! 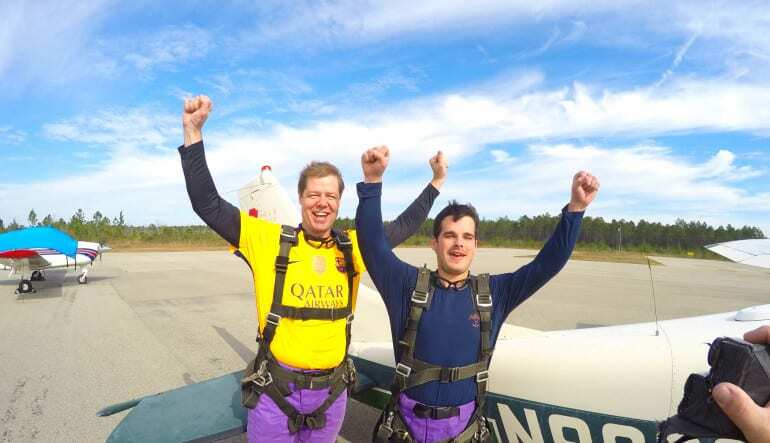 Book your New Orleans Skydive Now! Booking times are available from 8:30am to 4pm Saturday & Sunday. Monday is available on selected dates in the warmer months.